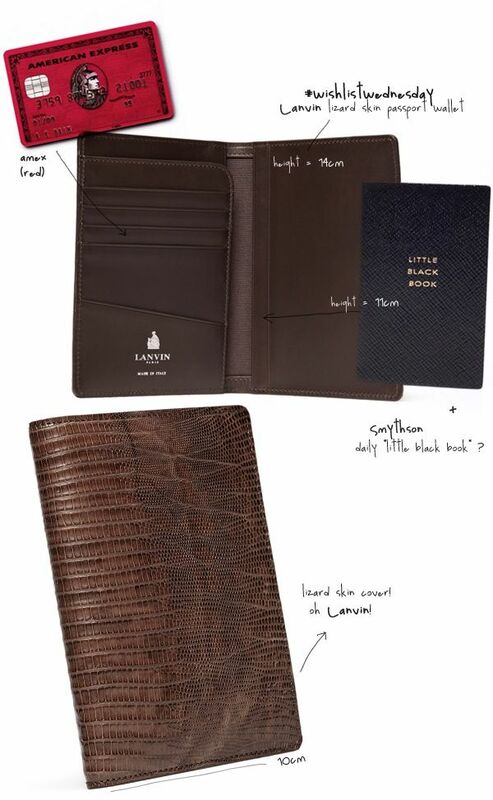 2. smythson "little black book"
i'm wishing for the wallet too. looking at it gives me that prickly feeling at the back of my neck. what font did you use for the side notes? i also thought the font was very nice. very clever. I just got offered one but in box leather... It bears the JJJLLL logo rather than the Arpège logo sadly... Might be from Lanvin's last season! Just ordered the wallet, for money not the passport holder, I might kiss the post-person who brings it to me!